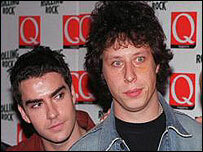 Rock band Stereophonics have sacked their drummer Stuart Cable, a founding member, citing "commitment issues". 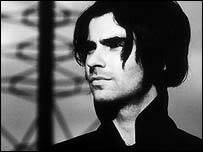 Singer Kelly Jones - who has been friends with Cable since childhood - said it had been a "heartbreaking" decision to get rid of him. He said Cable had had "commitment" issues since the release of the band's third album, Just Enough Education to Perform, in 2001. He said the band - who are currently promoting their fourth album You've Got to Go There to Come Back, would continue as a duo of himself and bassist Richard Jones, with former Black Crowes drummer Steve Gorman joining them for live dates. They said Gorman had already had to fill in for Cable on several US shows, with the south Wales band giving "ill health" as the official reason for the drummer's replacement. Cable is understood to have been unaware of his sacking until he was called by BBC Radio Wales presenter Owen Money. Money, a friend of the drummer, said: "It was a complete shock to him - he knew nothing about it. "As far as Stuart was concerned it wasn't true and was going to contact his manager in America." Kelly Jones said on the band's website: "Me and Stuart started a band when I was 12. Emotionally to me this is heartbreaking, I love him like a brother, but commitment-wise there have been issues since Just Enough Education To Perform. "We've tried resolving them but things stayed the same. Myself and Richard miss Stuart already, a band is like a gang and a lot of the time he simply wasn't there, although it was our fault to allow this situation to develop in the first place." Jones said Cable - who grew up in the same street in Cwmaman, near Aberdare with him - would not be permanently replaced. "I don't know if this will massively affect the band, after all Kelly is the one in charge of the band," said Phil Alexander, editor-in-chief of music magazine Mojo. "And it's not entirely without warning. In the past they have had their differences. I remember them playing some gigs in Japan couple of years ago, and Stuart didn't even get on the plane." Mr Alexander said he thought "both parties are probably walking away from this with a certain amount of relief". "The surprising thing about it is that he and Kelly have been mates since they were growing up together. But I think they just want different things," he added. Cable, an enthusiastic drummer who was often the focus of the band's live shows, had embarked on a TV career by hosting his own talk show for the BBC in Wales. While the group's other members stayed out of the limelight, Cable hit the headlines after he left his wife to begin a relationship with TV presenter Lisa Rogers. The band have a new single, Since I Told You it's Over, due out in November. After starting life as a covers band called Tragic Love Company in 1991, Stereophonics scored the first of their 16 top 40 hits in 1997 with More Life In A Tramp's Vest, taken from their debut album Word Gets Around. They hit the big time the following year when their second album Performance and Cocktails hit number one, a feat repeated by its 2001 follow-up, Just Enough Education To Perform, and You Gotta Go There to Come Back, released earlier this year.